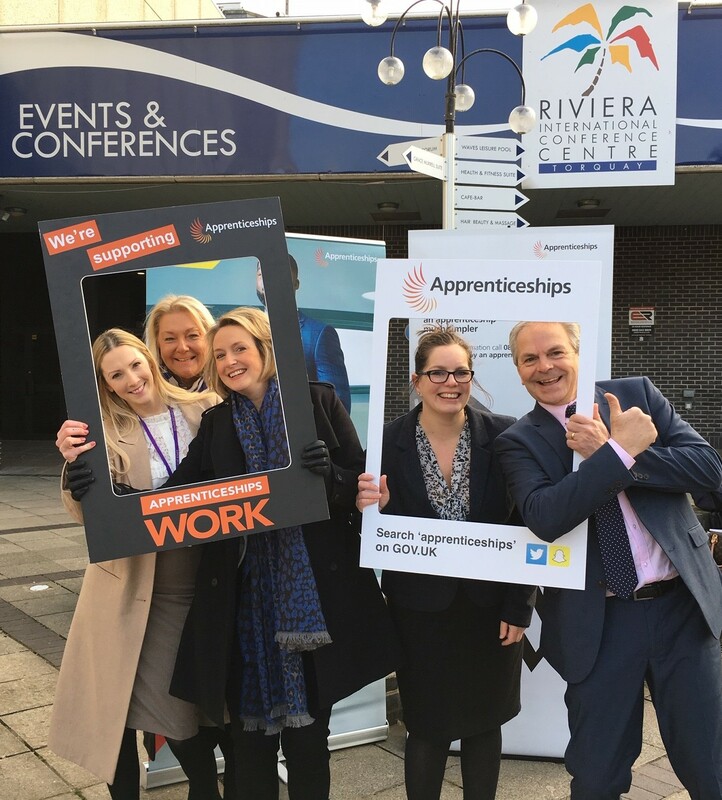 Torbay’s new Apprenticeship Working Group has launched the all new #ApprenticeTakeover campaign to celebrate National Apprenticeship Week. National Apprenticeship Week brings a whole host of exciting and informative events to the table, not to mention opportunities to speak to actual apprentices and employers. To this end both the Torbay Business Forum breakfast, on the 5th March and the Torbay Jobs fair on the 8th March will be taken over by apprentices from South Devon College, Torbay Council and the TDA. “We’re challenging businesses to take part in National Apprenticeship Week and to join the #ApprenticeTakeover on social media, it’s a fun and engaging way to showcase their apprentice’s talent! As a business, you may be considering hiring an apprentice but have questions. Fear not, as part of the week you will be able to ask questions, and get information at a dedicated Apprenticeship Business Seminar on the 8th March 2019. The seminar is delivered completely free and will help you put some or even all of your concerns to rest. Apprentices from Torbay Council, South Devon College and the TDA will be taking over the running of your Torbay Business Forum Breakfast on the 5th March. “We’re delighted to be taking part in the #ApprenticeTakeover. It will give local apprentices the opportunity to manage a real business networking event and be part of the show! TDA will be running a free information seminar on 8 March at the Riviera International Conference Centre, which is an event for businesses to engage, inform and inspire. Working Group partners will present the benefits of apprentices and what businesses need to do to have an apprentice, addressing issues and myth busting. Whether you’re candidate or an employer the FREE Torbay Job’s fair has something for everyone. This really is the perfect opportunity for you to talk directly with candidates about the live vacancies that you currently have available. For the candidates this is your perfect opportunity to get yourself in front of some of the best companies around Torbay and further afield. The previous job fair, which took place in October save over 700 candidates and 71 businesses attend. If you do one thing in March, get yourself up to to Torbay Jobs Fair.